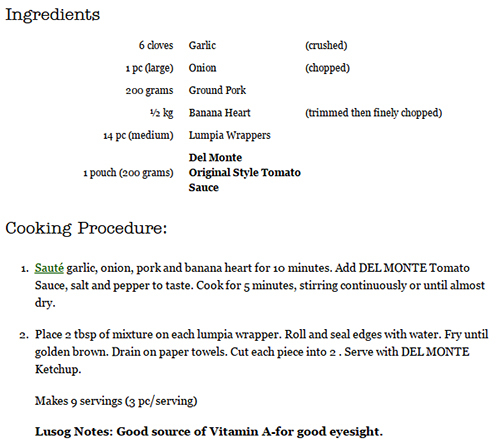 I’m going to try this hearty lumpia meal tomorrow (Sunday). Thanks Del Monte Kitchenomics for the timely recipe. I’m regularly receiving a newsletter from them and the suggested recipes are really very helpful for a busy mom like me. 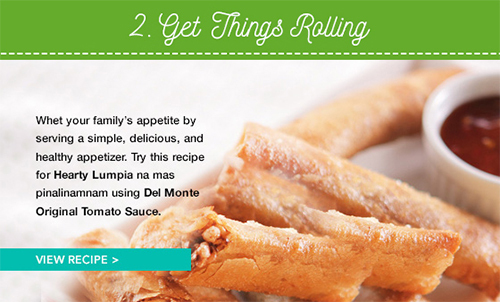 This entry was posted in Healthy Snacks, Holiday Food, Recipe and tagged del monte kitchenomics, lumpia variety, lumpiang shanghai, simple lumpia recipe on April 18, 2015 by Yami.